Healthcare is always changing and ambulatory surgery centers are in a great position to take advantage of the new care philosophy: providing the best quality for the lowest cost. 1. Transitioning to value-based care. ASCs traditionally depended on volume to drive their bottom line, but healthcare is moving more toward pay-for-performance instead of fee-for-service. Bundled payments, accountable care organizations and shared savings programs all promote outcomes over volume and require healthcare providers to take on risk. "As payers increasingly sell health plans tied to ACOs, ASCs will progressively feel compelled to participate in ACOs as well," says Adam C. Powell, PhD, president of Payer+Proivder Syndicate. "This is likely to be particularly pronounced in high-density areas in which ACOs have a strong presence. Many ASCs will have to take a serious look at how they position themselves in this changing environment." There are some ASCs preparing to participate in ACO contracts independently while hospitals are acquiring others before participation. 2. EMR implementation. The U.S. government provided incentives for hospitals and physicians to begin using electronic medical records, but not for ASCs. As a result, many ASCs haven't implemented EMR and are now behind in data collection. 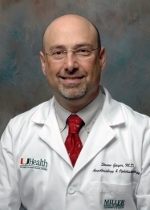 "Another reason ASCs lag behind in EMR implementation is they offer a certain value — doing procedures more efficiently than hospitals — and EMRs could slow the pace," says Steven Gayer, MD, MBA, chair of the American Society of Anesthesiologists' Committee on Ambulatory Surgical Care and an anesthesiologist with Bascom Palmer Eye Institute in Miami. "The challenge is to find an EMR built around the ASC's efficiency. At the hospital, you might have time to click through many screens while waiting for the operating room to open up, but at ASCs when you're doing multiple procedures in a row, there isn't time to fill in every field. We need a specialized EMR and that's been slow in coming." However, the data gathering potential is significant for ASCs. They can find inefficiencies or negative trends and fix them quickly before a bigger issue arises. 3. Data collection and optimization. Gathering single-center data is great for identifying and fixing issues at the center, but outside data is necessary for benchmarking and additional improvement. The Ambulatory Surgery Center Association offers a benchmarking program collecting data from a large number of ASCs across the country with the potential to offer both broad benchmarks as well as very specific numbers for certain types of centers. Clinical organizations — including the Society for Ambulatory Anesthesiology — also have outcomes registry data available. The SAMBA registry is a web-based database that aligns with some EMR records. "Gathering data is not sufficient on its own. You have to gather data and then do something with it," says Dr. Gayer. "Anesthesia leaders are looking for what the data says about quality of care and how they do things at their facility. We're looking to make things more efficient, safer and improve patient satisfaction postoperatively." 4. Promoting ASC benefits. There is strong data showing ASCs generally have higher quality and lower costs than hospitals because of their smaller size and often focused expertise. Patient satisfaction is also high at surgery centers, but in many communities people still go wherever their surgeons recommend and aren't aware of ASCs. "As a result of their smaller size, ASCs often lack the brand recognition of local health systems," says Mr. Powell. "Furthermore, some patients may be hesitant to receive care outside the walls of a hospital. Quality fears can be mitigated by sharing literature on the positive relationship between volume and quality, as well as applicable performance scorecards." Prices published online will help patients make comparisons with other healthcare facilities and determine the best value. A few ASCs across the country are already publishing prices online, a trend expected to grow. 5. Physician recruitment. Hospitals are purchasing physician practices and offering employment contracts to new and veteran surgeons across the country. Independent physicians are also finding it harder to maintain their business with new regulations and expenses, making the hospital contracts seem even more attractive. However, hospital-employed surgeons are often unable to perform cases at ASCs. Rural ASCs are especially hit hard, as surgeons often train in urban areas and decide to begin practicing in the urban environment. "According to a survey conducted by the Colorado Health Institute, the top three factors that rural doctors rated as very important were the availability of recreational and leisure activities, the sustainability of the environment for raising children and the degree of professional independence available to them," says Mr. Powell. "Emphasizing these benefits during the recruitment process may be helpful." 6. Patient experience with higher acuity cases. Higher acuity cases once relegated to hospital settings are coming into surgery centers. These include orthopedic joint replacements, spine surgeries and older patients with more comorbidities. Technology allows surgeons to perform these cases with less invasive procedures and anesthesiologists to better control pain. Surgeries involving catheters were once hospital-only procedures, but now anesthesiologists working in ambulatory centers can thread the catheter and inject the catheter before the surgery is over to maintain the block. Pain pumps gradually infuse the local anesthetic mixture for the patient so they can go home with the pump still intact. "The patient can either come back to the center for us to remove it, or remove it at home on their own. In that case, we would conduct a follow-up call to make sure all went well," says Dr. Gayer. "This helps us minimize postoperative narcotic use and allows patients to resume their typical activities of daily living earlier. We're extending the physician anesthesiologist's presence from the preoperative evaluation, the intraoperative experience, the postoperative recovery room stay and finally into patients' homes as well." There is great patient satisfaction associated with continuous catheters and pain pumps, says Dr. Gayer, and more ASCs are implementing them. "It takes a leader to come in and say we can do this and we should do this." 7. Case cancellations. Canceling cases — especially the day of surgery — has a significant impact on patient satisfaction and the ASC's bottom line. The surgery center has staff ready and waiting for the patient, and sometimes they even begin the preoperative process. If the case is cancelled, it wastes time, and prevents another patient from filling that slot. In some cases, cancellations are preventable — such as when the patient doesn't follow preparation protocol or history isn't taken beforehand. The patient history can identify red flags that would prevent them from having surgery at the center, such as sleep apnea, high BMI or ASA score. "The ambulatory surgical center may not be the appropriate venue for some patients," says Dr. Gayer. "A good quality database allows benchmarking with similar facilities to compare the percentage of cancelled and postponed cases and find trends. If the cancellations were preventable, new protocols may be instituted. Smart ASC leaders are diving into the analysis of big data and I think that's meaningful for the future." 8. Drug shortages. Facilities struggle to obtain drugs which may have temporary limited availability, which means vials from different manufacturers may be of different sizes and have different labels. The variation puts staff members at risk of making mistakes. "We are dealing with processes that occur millions of times, so the risk of mixing up drugs is now higher," says Dr. Gayer. "Another issue is single-use only vials. If you have a shortage of a critical drug and only use 5 ccs of a 10 cc vial on a patient, you're required to throw away the balance. Somewhere down the line another patient might be denied that drug due to lack of availability." ASCs can combat these challenges by compounding drugs, but that's an expensive and time consuming process. "The expense is significant, but it may be the right thing to do in the time of shortages," says Dr. Gayer. "However, you are also introducing another variable, the risk of infection through contamination." 9. High deductible insurance plans/patient collections. More patients are opting for high-deductible health plans, which can impact ASCs in several ways. It takes longer for patients to meet their deductible with these plans, and elective procedures are often put off until the deductible is met. ASCs might experience a slower start to their year than in the past. These plans also require patients to pay more out-of-pocket. Some centers require patients to pay upfront while others have payment plans. Experts suggest sending bills earlier and more frequently to patients with payment plans. When centers aren't able to collect, they can turn those claims over to debt collectors, but that strategy is less than ideal. Staff members are also undergoing training to communicate about payment with patients. It takes extreme sensitivity and compassion to work with patients on payment plans, especially when the patient is in pain. But collections are important to keep the ASC running. 10. Leadership under healthcare reform. Business can't go on as usual with the new healthcare reform regulations maturing. Leaders must be flexible and responsive to new legislation and market changes. Many physician leaders are pursuing MBA programs. "We are using the new skills and philosophy to help lead and satisfy our organization's mission," says Dr. Gayer. "The first priority is patient safety and providing a good experience for the patient, but we also want to run the facility in a manner that sustains the organization." Surgery centers are small businesses and require strong relationships between staff and management to run efficiently. "Anesthesiologists working in ASCs can provide leadership — their base of operations is the ASC," says Dr. Gayer. "Anesthesiologists will play a vital role in the development of the surgical home. I think that's where we're going in the future." What does healthcare's value-based revolution mean for ASC benchmarking?